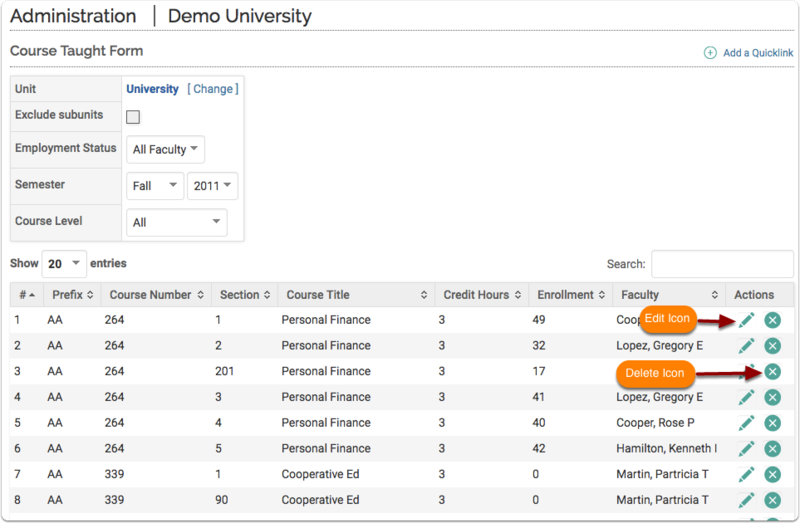 Courses taught can be added to FACULTY180 on an individual basis, as compared to performing a bulk upload, at any time. Courses taught that have been uploaded through a bulk upload can be managed using the same process as those that were uploaded individually. 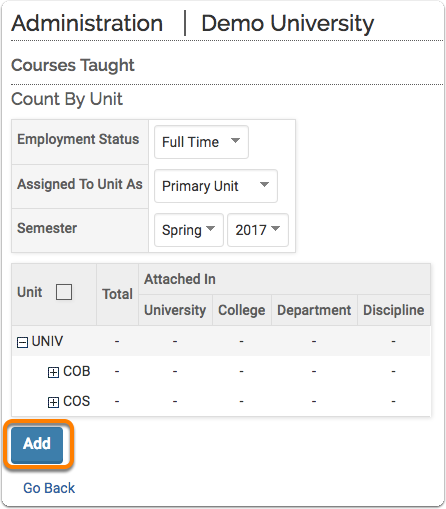 Before adding new courses taught, the course prefix must be created. Click Courses Taught in the Add/Edit section. The Courses Taught screen displays. 3. Click Add. The Course Taught Form dialog box opens. Enter the necessary information. 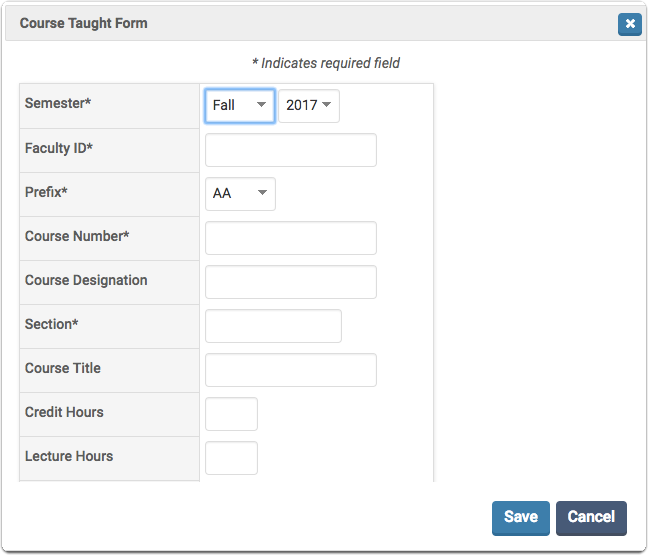 Note that some fields are required and are marked with an asterisk*. Click the unit assigned to the course to be edited. The Course Taught Form screen displays. The courses that are assigned to the selected unit are listed. Click the Edit icon adjacent to the course to be edited. The Course Taught Form for the selected course displays. Make the desired changes for the selected course.